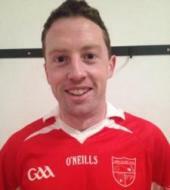 Our Junior A Footballers took on Canovee in the Mid-Cork semi-final on Sunday evening last in Macroom. After a tight and tense game of football, the end result was a draw - Uibh Laoire 1-09 to Canovee's 2-06. The replay has been fixed for this Wednesday evening at 8.00pm in Macroom. As always, all support is appreciated!